While I was decorating my kitchen with a summer beach inspired theme I wanted to add a little something to the walls to enhance the theme. I decided to make my own DIY wall art with canvas. It was the least expensive way to add a little beach, sun and sand to the space. I came up with this summer art and have a few tips and tricks for you if you want to make your own. This is a pretty easy and inexpensive way to get some themed artwork for your walls. I started with 3 sheets of 12×12 scrapbook paper. I used one full sheet and cut the other two sheets and used only part of them. Above, you can see the line where I Mod Podge the two large sheets together. 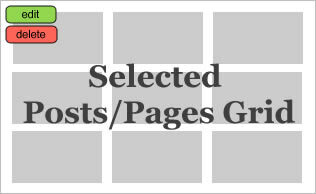 Start by figuring out which paper you want to use and what you want to cut. 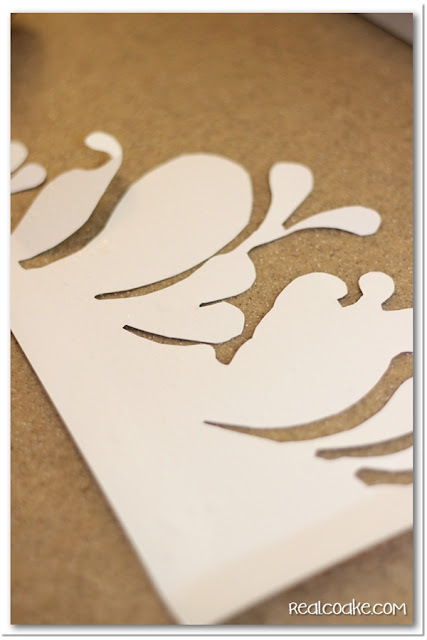 Do all that cutting before you being attaching the paper to the canvas with your Mod Podge.
) to smooth out any wrinkles. I have found that lightly spraying the back of the paper really helps minimize the wrinkles. No wrinkles…yay! 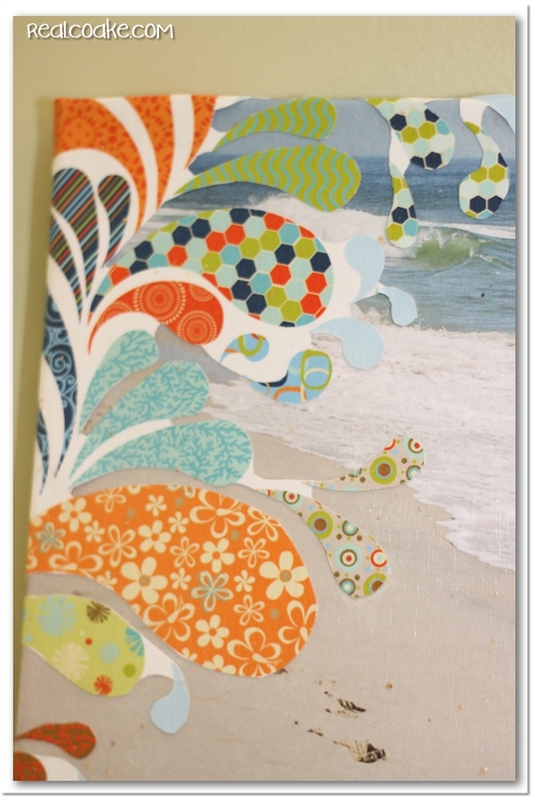 If you are working with detailed pieces like these, make sure that all the pieces are adhered with the Mod Podge. I wanted to add some texture and dimension to my artwork. I applied another thin coat of Mod Podge and added some sand. 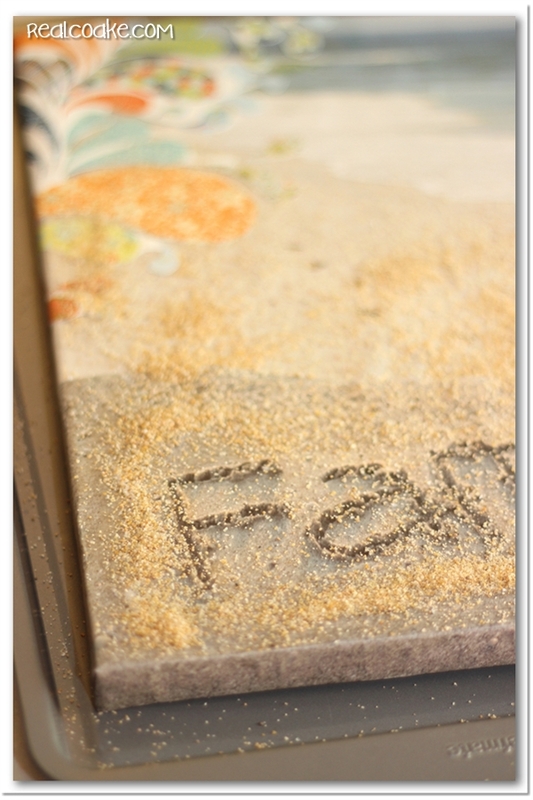 I used my cookie sheet that I use just for crafting to keep the sand from ending up all over my kitchen floor. 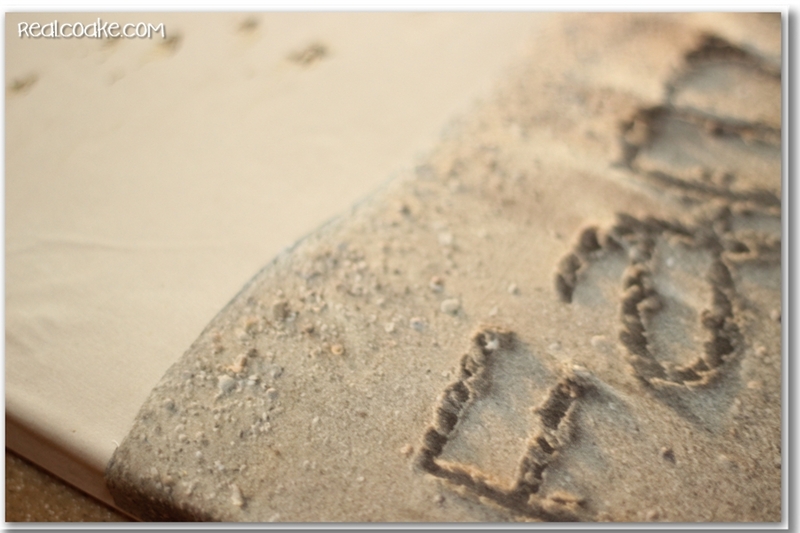 After applying the sand, gently knock the canvas to get excess sand off. You can also use your finger to gently rub any extra sand off. Love the added dimension of adding the sand to the art! Lastly, you will want to add two coats of Mod Podge to seal your art. Wait 15 to 20 minutes in between coats. 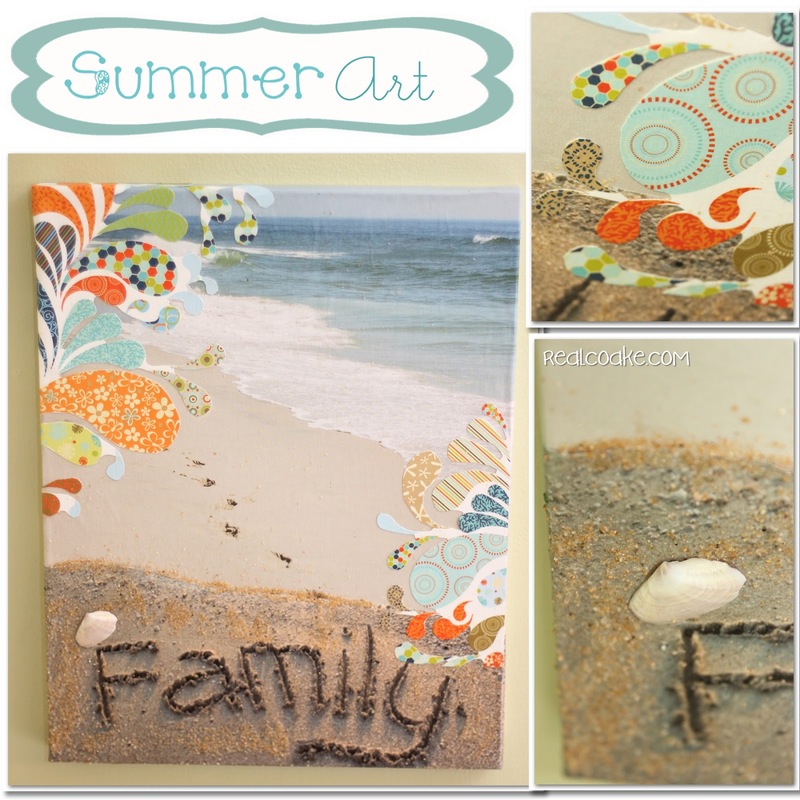 You may need to wait a bit longer to allow the Mod Podge in the sand areas to dry completely. 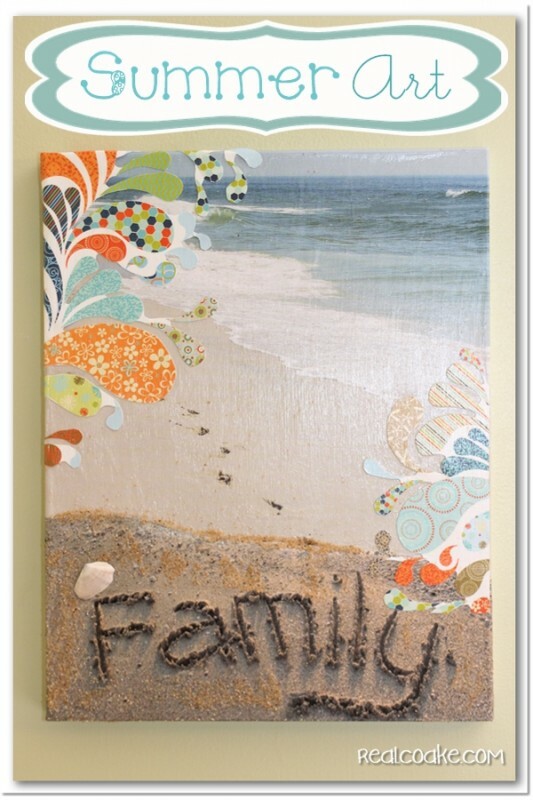 On your last coat, use the Mod Podge and add a shell to your picture. Put Mod Podge on the back of the shell and dab some on the front around the edges. Allow time to dry and cure completely. Summer art for super cheap! Love! It also complements my Simple Centerpiece and my Summer Apothecary Jars really well. Now we feel read for a beach vacation. Hmmm, just might have to get on planning one of those. Have you ever made your own wall art? Any other ideas or tips for us? This is so great. 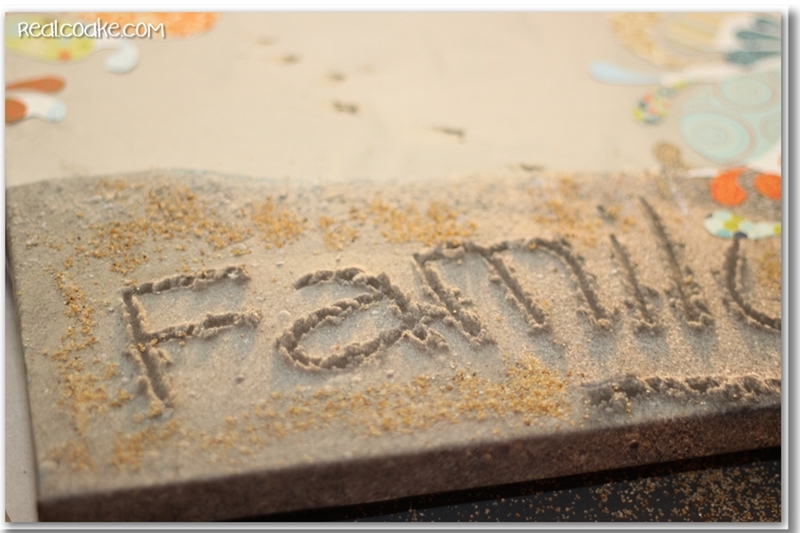 I love the look and texture of the real sand. What a fun piece of art to hang in your home. Thank you! We are enjoying seeing it…glad you like it as well. Did the picture already have the word family in it or did you put that in the sand you added with the Mod Podge? Summer art pics are really wonderful..!! These pics will look great in my bedroom. I am really loving them. Your summer are is super beautiful!! Thank you! I love that paper, too! My daughter is the one who found it. It was so perfect for this project. This is sooooooo cute and such a fabulous idea!!! The possibilities with this are endless! Thanks for linking up to Thrifty Thursday! Thanks! Yes, the possibilities are endless….I’m hoping to make some more artwork for other seasons/holidays. Thanks so much for the shout outs on twitter! This is a beautiful piece of Home Decor! I like using Gel Medium and not Mod Podge anymore! Thank you! I haven’t heard of Gel Medium. What is it and where do you get it? Does it work like Mod Podge? Thanks so much, I will have to do a little research.